Seventeen people have been taken to hospital after a coach overturned as it left the M40 in Oxfordshire. 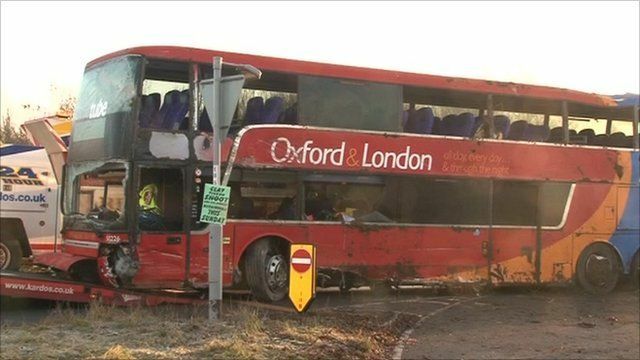 The Oxford Tube coach, travelling from London, crashed just before 2300 GMT on Saturday at the northbound exit of junction seven, near Thame. Five of those admitted to hospital needed surgery, mainly for broken bones. The remaining patients have been discharged.